This is not the machine made Epicures with cellophane. 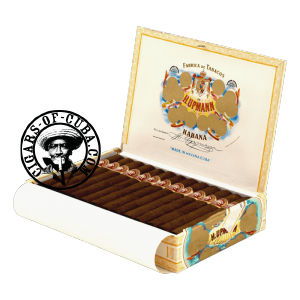 Habanos started producing the Upmann Epicures at Villa Clara factory in a "totalemente a mano" version (hand rolled). A very very good introduction to the brand with comfortable light tobacco flavor. The new hand rolled versions will produce a more interesting smoke. A mild tobacco taste is found in the initial phase of this cigar. Some grassy notes come in to bring the second half of the cigar to life. The cigar just ends. Perhaps missing that up lift at the end to make you remember that were smoking a Cuban.